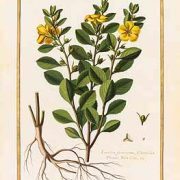 Also known as Feuille de Damiana, Feuille de Damiane, Herba de la Pastora, Houx Mexicain, Mexican Damiana, Mizibcoc, Old Woman’s Broom, Oreganillo, and Thé Bourrique. 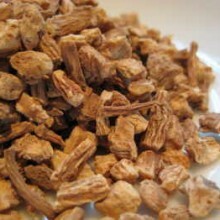 Categories: Herbal Infusions, Amazonian Herbal, Products Beginning with "D". Tags: aphrodisiac, constipation, coughs, energy inducing, hair loss, herbs, impotence, infertility, infusion, Lou Gehrig's disease, menopause, prostate inflammation, tea, tonic, traditional. 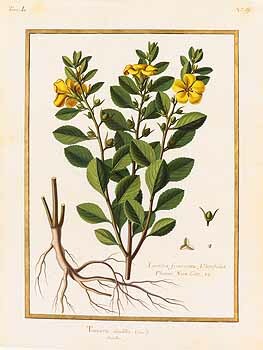 Damiana is a shrub native to Central and South America. It belongs to the family Turneraceae. 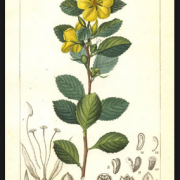 It is also and variously known as Feuille de Damiana, Feuille de Damiane, Herba de la Pastora, Houx Mexicain, Mexican Damiana, Mizibcoc, Old Woman’s Broom, Oreganillo, and Thé Bourrique. 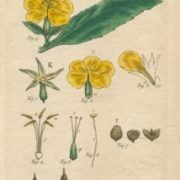 This delightful little plant has an abundance small yellow flowers, and an aroma, just a little like chamomile, (but so much nicer in this editor’s opinion) which is due to essential oils present in the plant. 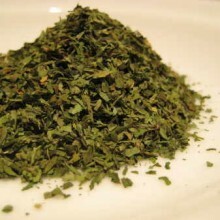 The leaves have traditionally been made into a tea which was used by native people of Central and South America for its reputed aphrodisiac effects. 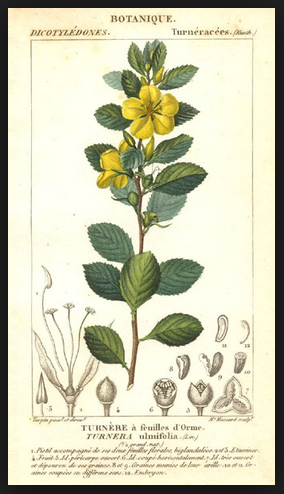 In herbal circles Damiana is used to treat conditions ranging from coughs, to constipation & depression. 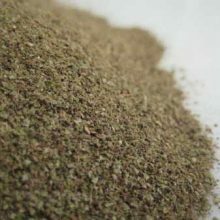 The herbal supplement is reputed to help with Energy, Emphysema, low Oestrogen, Frigidity, Hot Flashes, Impotency, Infertility, Menopause, Parkinson’s Disease, PMS, Inflammation of Prostate, Lou Gehrig’s disease, and more dealing with reproductive organs in both males and females. 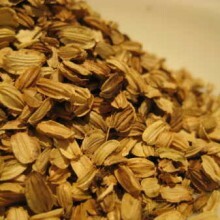 Recreationally, a traditional Mexican liqueur, sometimes used in margaritas is made from the plant. Its makers claim that the liqueur was used in the first margarita. 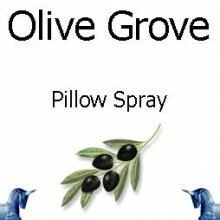 Popular with executives and those with hectic lifestyles. 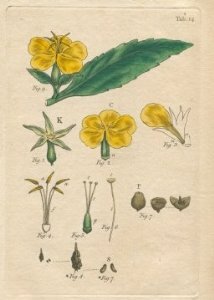 It makes an intriguing tea which, apart from the above, has the enviable and quite popular reputation as a calmer of the mood, and an anti-depressant inasmuch as it is considered that the volatile oils trigger a more positive frame of mind, and the tea is also used as a loving cup. 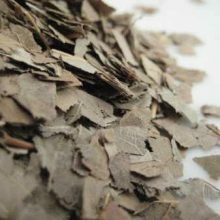 The content of sitosterol stimulates the response in both men and women and the herbal tea is often used in combination with Saw Palmetto to combat hair loss with reported success rates too numerous to competely discount but I have to stress that there is little but anecdotal evidence to support this. 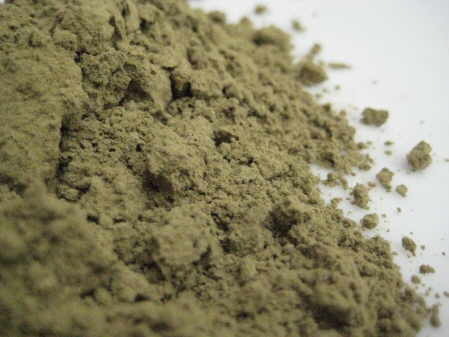 New Products, Herbal & Mineral Clay Powders, Single Herbal Infusions, Products Beginning With "U"